If you’re faced with the thankless task of getting auto insurance quotes, you know how daunting that can be. There are dozens of insurance agencies and companies offering countless different policies and options that seem designed to confuse people. Throw in the reality that some insurance companies raise their rates because of a high number of claims in a particular region or an increase in risk in some communities and that makes the situation even more aggravating. It’s annoying and it just seems wrong. Where can a driver go to get reasonable auto insurance quotes without feeling ripped off? At Keating Agency Insurance we understand the challenges drivers like you face when it comes to West Hartford, Connecticut auto insurance quotes. That’s why we are an independent agency — we work with almost two dozen auto insurance companies so that we can provide just the right auto insurance quotes – nothing more and nothing less. 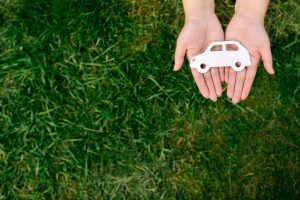 We research and present the best auto insurance coverage options for you and your family while finding unmatched value for the best auto insurance quotes. We understand that auto insurance quotes are the last thing on your mind. But if you’re looking to save money on your auto insurance quotes, give us a call at Keating Agency Insurance. Don’t wait until the bill shows up with next year’s policy premium and sends you into sticker shock. Sure, some drivers are lucky and may have had a great year with no accidents, no speeding tickets, and no insurance claims. But for every one of those drivers, there’s someone else who DID have something happen — maybe it was you, or someone in your household. Don’t wait until you realize your insurance policy isn’t what you thought it was and that it’s costing you way too much money before you decide to get auto insurance quotes. Give us a call today. We know the car insurance industry inside and out. We’ve partnered with the best auto insurance companies in the country to bring you the best possible auto policies and rates. When we recommend the best auto insurance quotes for you, you can be assured that nearly half a century of industry expertise has gone into it. Contact the auto insurance quotes experts at Keating Agency Insurance today and get the peace-of-mind you deserve when you drive your car or truck.